Double Queen Rooms - clean, quiet, comfortable and warm, friendly staff. Enjoy the surrounding lakes, trails and wilderness. Located one hour west of Missoula, off I-90. 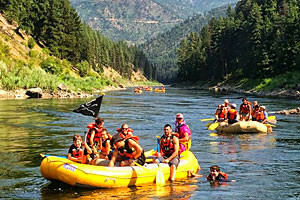 White-water raft, kayak, or fish the Clark Fork. Wintertime fun includes snowmobiling, snowshoeing, and cross-country and down-hill skiing. Stay at a motel, nearby lodge, or in a Lolo National Forest campground or cabin. Visit the Mineral Country Museum. Superior features local eateries and service stations. Originally an important mining and logging town, Superior is now a popular destination for outdoor enthusiasts. With the Clark Fork River flowing through its downtown, white-water rafters, kayakers and fisherman flock to Superior during summer for water-based activities. Camping, hiking, hunting, and backpacking are popular summertime activities in Lolo National Forest. During winter, head to the forests and mountains for downhill and cross-country skiing, snowmobiling, and snowshoeing. Superior, MT is located off of Interstate-90, just 58 miles west of Missoula. Superior offers overnight visitors their choice of three local motels, lodges, and nearby Lolo National Forest campgrounds and cabins. Enjoy a burger and beer at the local bars and grill or have a light meal at the café or coffee shop. Superior also features three service stations for gas fill-ups and snacks. During summer, the Clark Fork River attracts white-water rafters, floaters and fisherman. Land-based activities include hiking and camping in Lolo National Forest. For a good stretch of the legs, try the steep, 3-mile Ann Arbor Trail or the 5.4-mile Cameron Peak Trail, featuring great views and abundant wildlife. Avid golfers can swing their clubs amidst gorgeous alpine backdrops at Cedar Creek Golf Course. Wintertime activities include cross-country skiing, snowshoeing, and snowmobiling in Lolo National Forest as well as downhill skiing opportunity at nearby Lookout Pass Ski and Recreation Area. Mineral County Museum highlights the area’s mining and logging history through an array of displays, artifacts, and historical documents. Here, learn about Captain John Mullan and the Mullan Trail which runs the length of Mineral County. Visit between 3 pm and 6 pm on Tuesdays and Thursdays or call to make an appointment. By and large, Superior’s main outdoor attractions are the Clark Fork River and Lolo National Forest. For organized adventures, book a guided white-water rafting or fishing trip, or horse-packing tour. 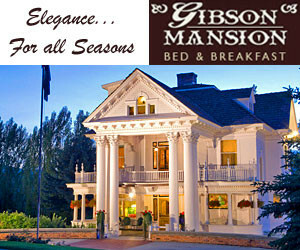 To reach Superior from Missoula, simply drive one hour west along Interstate 90. Mineral County is located in western Montana and is home to the towns of Alberton and Superior.